Discussion in 'Painting and Converting' started by Drimon, Jun 8, 2015. Could it be a recast or a 3d print? Sent them a mail about the missing base and asked about the casting. "We making 32mm bases and 60mm for usual dreads. 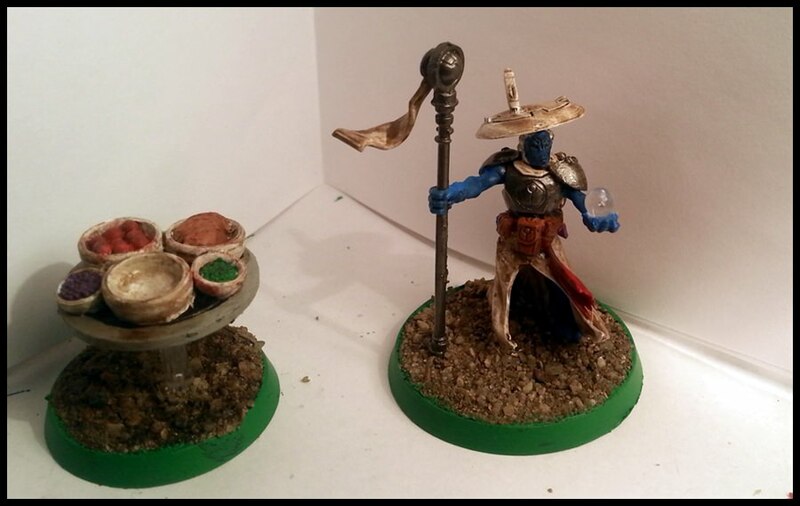 All models will be with bases in future. We are using same resin as FW." Ritual and Aginor like this. Painting Resin isnt fun, atleast with the paint I use, no matter how much I wash the models my paint rarely sticks so I need to paint several layers. 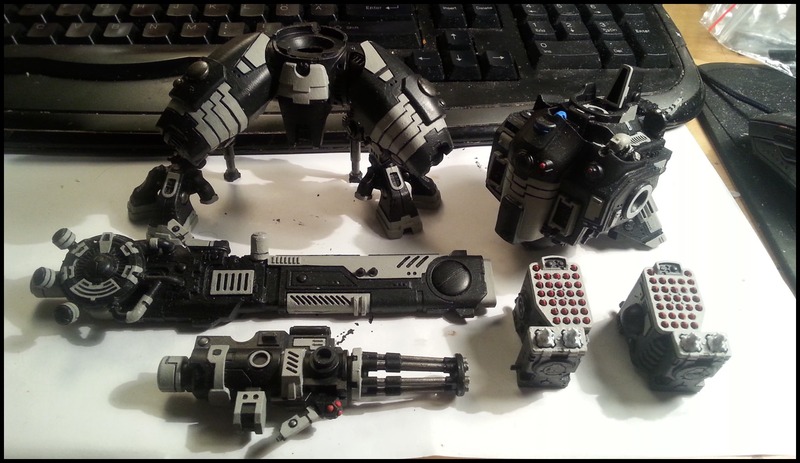 So its hard not to get too thick paint over certain detailed areas. And since parts came complete rather than in bits some parts were unable to be assembled as they were meant to, the cannon for example was two parts that were meant to fit together but the resin had filled the hole in which one part was meant to slide in. No way for me to clear it so used a file to get the sides as even as I coule then kitbash a little to fill the opening. So those "tubes" ontop of the cannon are not meant to be here just me improvising.. Hah. Also not sure how to go around with the missle pods. I'm waiting for my arms to arrive, either I place the missle pods as they are meant to and add the arms on the side of the pods. There's nothing on the back to hold up the missle pods and since they are solid resin they would be a pain to try glue in place. 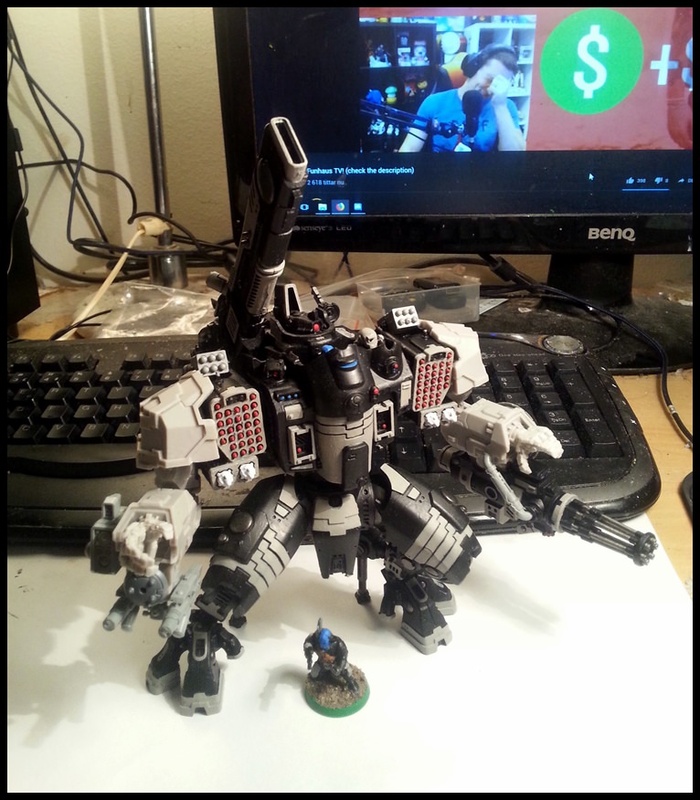 The Heavy Burst Cannon is left over from the Riptide which I plan to tie to one of the arms atleast. While waiting for the arms to arrive I kitbashed some more Tau. 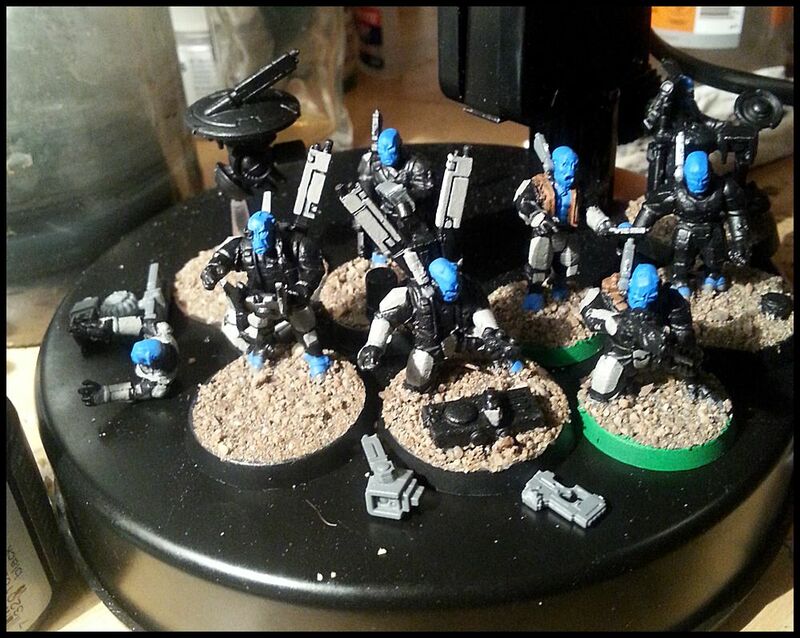 This is my attempt at making a "team" of some tactical Earth Caste Tau. Couldn't find much about them but figured I could try to make some tech unit on foot. Maybe serve as objective markers for narrative stuff. 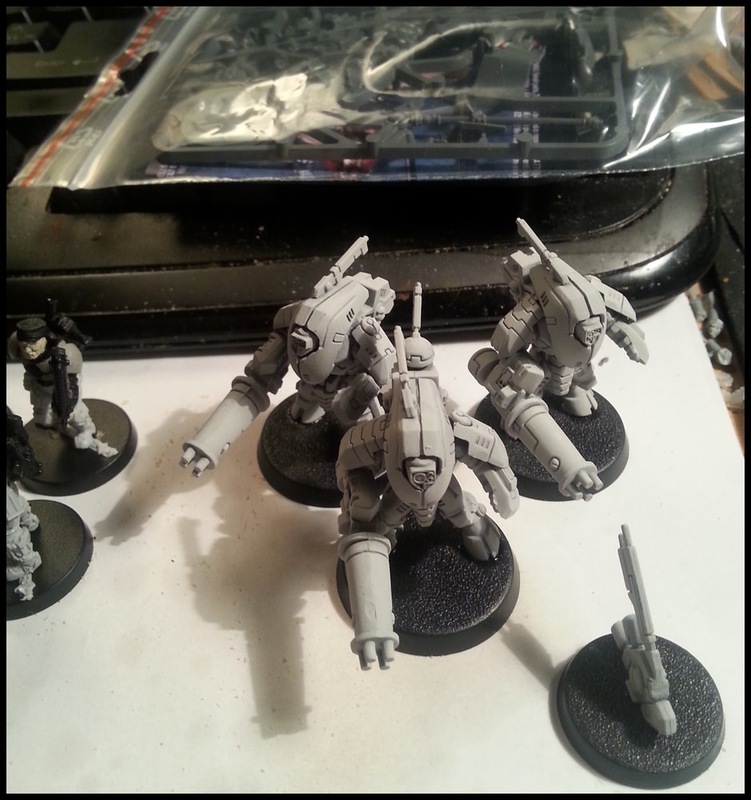 I had plenty of Fire Warrior legs left since I used the Tau torso for my Gue'vesa. So used some catachan torsos for these and it worked quite alright I must say. 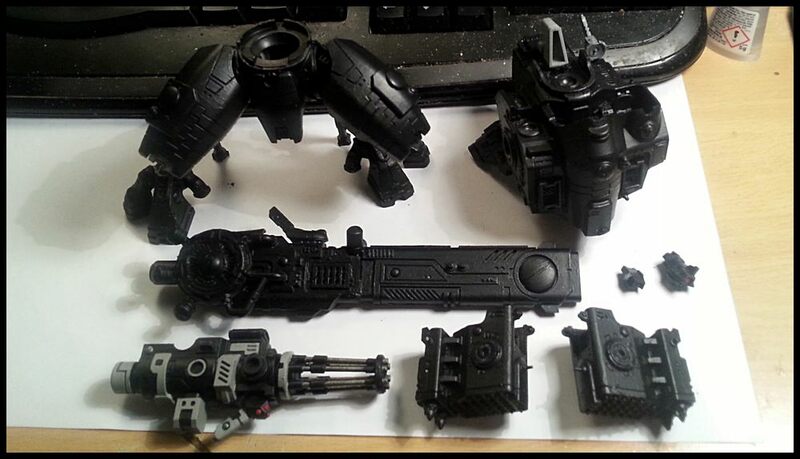 Will see once they are all painted etc. Did some painting this morning on my Earth Caste group but then I got out to get my mail and my new legs for my Gue'vesa had arrived. Very fast delivery for coming from the UK. 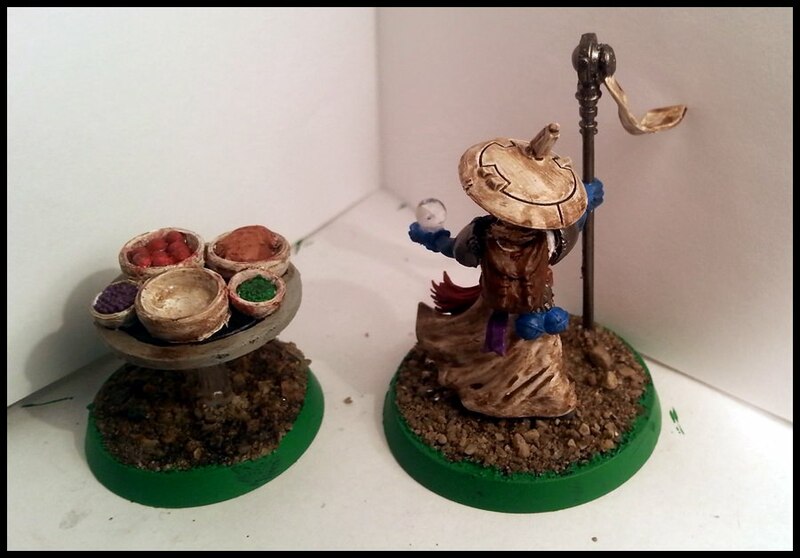 Love them, they are very detailed and are a tiny bigger than regular guardmen legs I believe. They seem taller with their new legs tho which is good since Tau are meant to be shorter than humans. Also received three Stealth suits and an Ethereal I won this weekend. Gotta think of how to make that one look different from my other one. 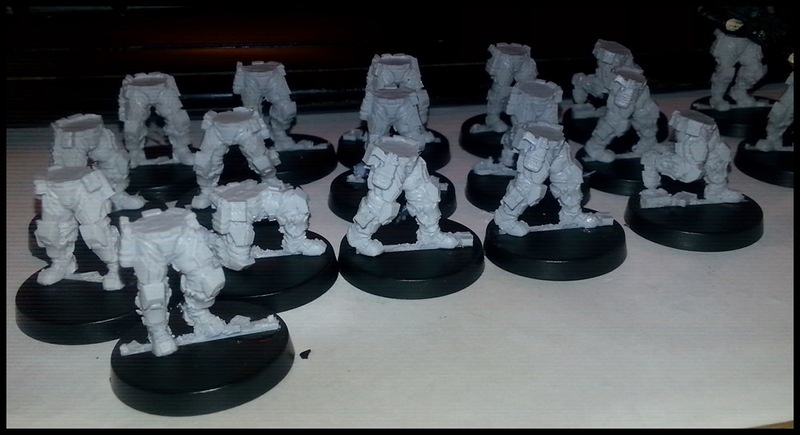 Hmm.. Anyways, sorted the Gue'vesas legs and I have 16 left so might get some more fire warrior boxes next months depending on how much I got. And now I got 16 extra regular legs for my Imperial Guard army so win win overall. HeirofCarnage, Warden, tom ndege and 1 other person like this. Nice addition for the greater good! Still a big fan of your Gue'vesa, the legs look great. Some more progress on my Stormsurge. The arms have been shipped so they should arrive next week I hope. Also, placing the pilots in the cockpit was a real pain.. I dont think you're meant to place the pilots with the torso already built so I had to cut and file the arms a bit for them to slide in correctly. Warden, Aginor and tom ndege like this. That is a lot of little red missiles! Got the arms today, was so eager to get it assembled so this is how it turned out. Enough Dakka? Haha I love it and I'm surprised it's standing on its own without a base.. It's quite heavy since everything on this model is resin. I have ordered a base so its on it's way. HeirofCarnage, Chicken Lips, tom ndege and 2 others like this. He looks great! Do those arms come with the actual model? Thanks ^^ Na the arms are from Puppetswar. PRIME BATTLEWALKER ARMS! The Stormsurge is not meant to have arms but I thought that looked wrong so..
HeirofCarnage, Warden, Fulcrum and 2 others like this. Man those big suits are HUGE. HeirofCarnage, Warden, Aginor and 1 other person like this. Itepixcauh and Drimon like this. Agree, always hated the armless Stormsurge. 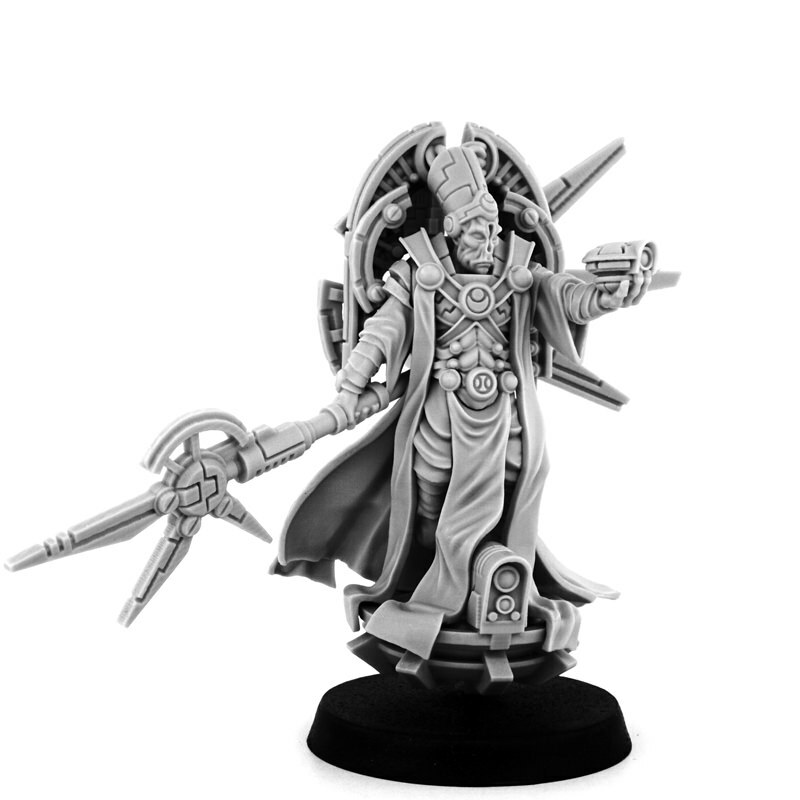 Ordered WG Exclusive's latest Tau model. Love it! Such a cool looking Ethereal! 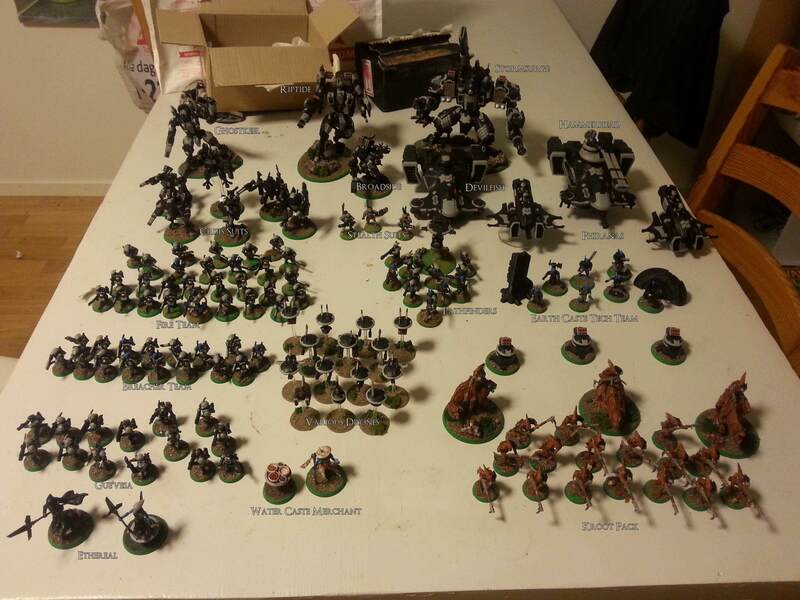 And here is my Tau army at it's near full force! 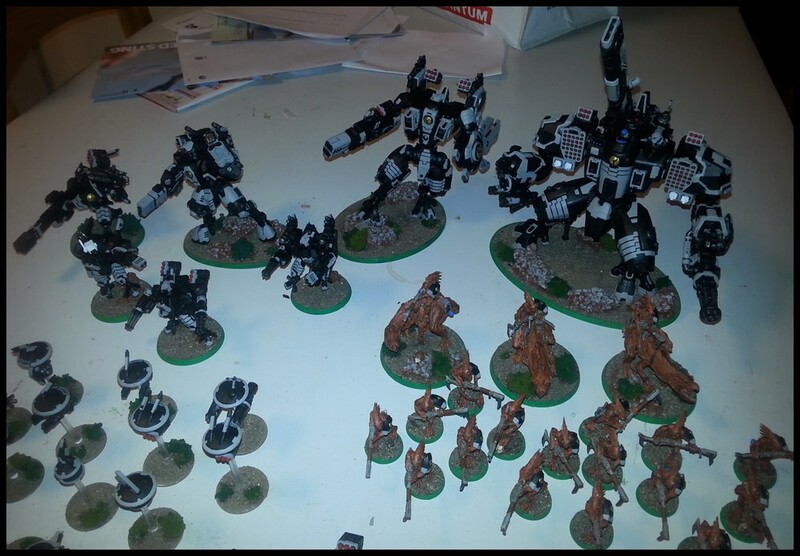 Just some stealth suits, extra gue'vesa and some drones missing from the pic. Warden, ravagekitteh, Crowsfoot and 2 others like this. 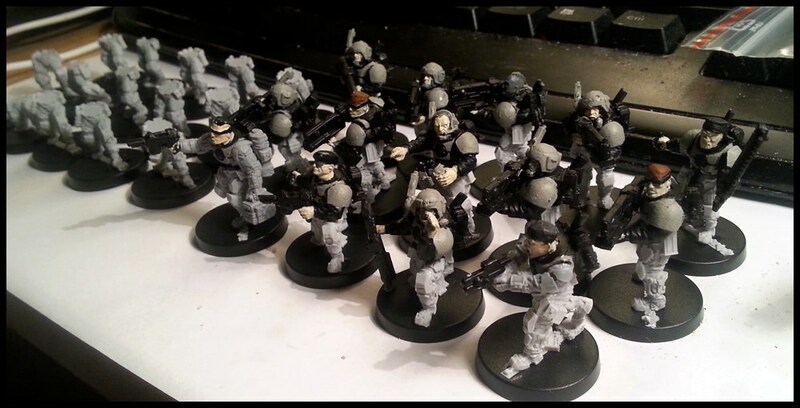 Nice Ethereal and a cool looking army!